Todd graduated from Georgia College with a BA in Business Management and Finance. 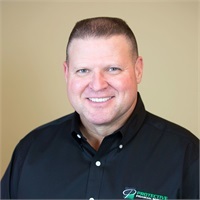 Todd founded Protective Financial Services in 1987. He is a registered representative and investment advisor with Proequities, Inc. He holds a series 6, 63, 65 licenses as well as life and health insurance licenses. Todd is President and founder of Protective Financial Services and serves as a Financial Advisor to clients. Todd has been married to Michelle since 1990. They attend Sinclair Baptist Church where he serves as Minister of Music. Todd enjoys hunting, fishing and playing Golf.